Dr. Pumariega has devoted his over 40 year career in psychiatry and child/adolescent psychiatry to children’s systems of care and cultural diversity in mental health. He received his M.D. from the University of Miami School of Medicine (and later inducted into its Alumni Hall of Fame in 1999) and residency and fellowship in general and child psychiatry at Duke University Medical Center. He previously headed two pediatric psychiatry consultation-liaison services (Vanderbilt University Medical Center and Baylor College of Medicine-Texas Children’s Hospital); three directorships of Child & Adolescent Psychiatry (University of Texas Medical Branch, University of South Carolina, and East Tennessee State University), and chaired three departments of psychiatry (East Tennessee State University, Reading Hospital and Medical Center, and Cooper Medical School of Rowan University/Cooper University Health). He also headed the ETSU Center of Excellence for Children in State Custody, awarded the American Psychiatric Association’s Silver Award for Outstanding Service in 2004, and was Co-Principal Investigator and head of the Cooper Hub for the NJ Collaborative Pediatric-Psychiatry Collaborative, in collaboration with Meridian Health (funded by the NJ Department of Child and Family Services). He is a Distinguished Life Fellow of the American Psychiatric Association (APA) and the Academy of Child & Adolescent Psychiatry (AACAP), and Fellow of the American College of Psychiatrists and American Orthopsychiatric Association. He has served as Associate Editor of the American Journal of Orthopsychiatry and the Journal of Child and Family Studies, and on the Editorial Board of Community Mental Health Journal , Journal of Child and Family Studies, and Adolescent Psychiatry. He co-led the drafting of the CMHS Cultural Competence Standards (1999) and the AACAP Practice Parameter for Culturally Competent Child and Adolescent Psychiatric Care (2013), the only cultural competence practice parameters in Medicine. He served as President of the American Orthopsychiatric Association (2010-2012) and President of the American Association of Social Psychiatry (2013-2015), now Immediate Past President of the latter. He was the founding Chair, Work Group on Systems of Care (1994-2001), and Co-Chair, Committee on Diversity and Culture (2007-2015) in the AACAP; and Chair, Committee on Hispanic Psychiatrists (2006-2009) of the APA. He has over 200 scientific publications, published over 250 abstracts, edited three textbooks and four journal special issues. Dr. Pumariega has received numerous awards, including the APA’s Simon Bolivar Award and Lecture in Hispanic Psychiatry (2004), and the AACAP’s Jeanne Spurlock Award and Lecture on Diversity and Culture (2007). Dr. Brown officially joined the Department of Psychiatry on January 2, 2015 as a Clinical Associate Professor in the Division of Child and Adolescent Psychiatry and assumed the position of Program Director for Child and Adolescent Psychiatry. He additionally served as the Associate Division Chief for approximately one year before being named Division Chief from January 2016 to March 2018. Dr. Brown transitioned the Program Director role for the Child and Adolescent Psychiatry Fellowship to Dr. Mariam Rahmani on July 1, 2016, while maintaining a supportive role as the Associate Program Director. Dr. Brown is a Gainesville area native. 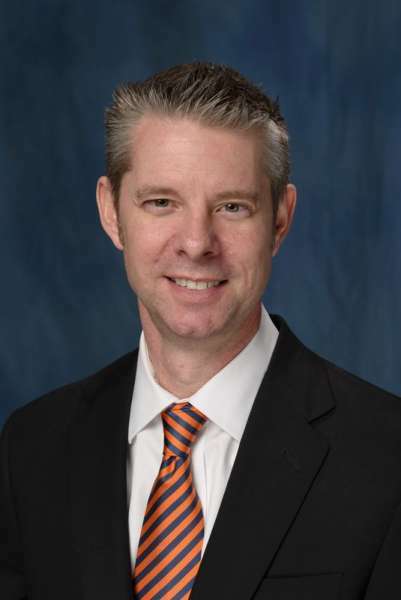 He completed his undergraduate training here at UF and received his MD degree at the University of South Florida. He went on to complete both his General Psychiatry Residency and Child and Adolescent Psychiatry Fellowship at Wright-Patterson Air Force Base/Wright State University (WPAFB/WSU) in Dayton, OH from 1999 – 2004. He was then stationed at Barksdale Air Force Base (Shreveport, LA) before returning to WPAFB to serve as the U. S. Air Force Fellowship Training Director for Child & Adolescent Psychiatry for three years. During his tenure in the USAF, he also spent time serving his country at Keesler Air Force Base (Biloxi, MS) and was deployed to Afghanistan before separating in July of 2008. 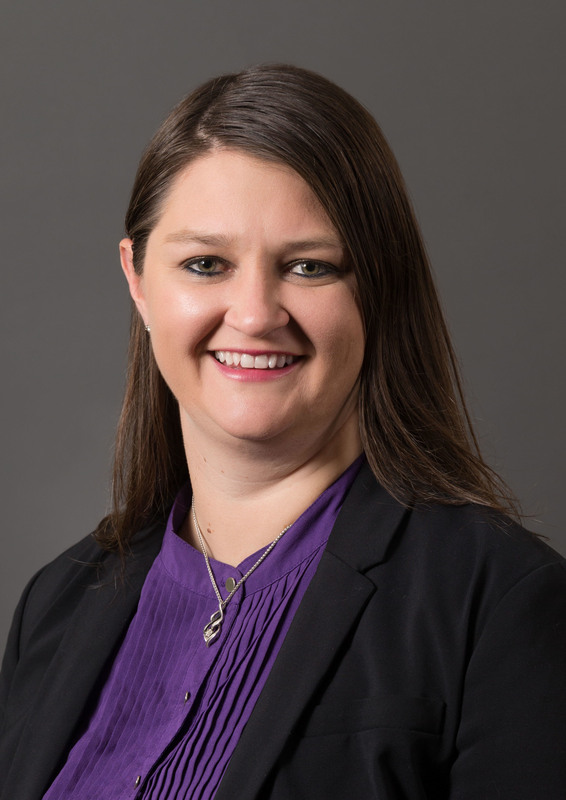 As a civilian, Dr. Brown worked as a staff Child Psychiatrist at Halifax Behavioral Services in Daytona Beach for just under one year, before moving to Little Rock, Arkansas and joining the faculty at the University of Arkansas for Medical Sciences (UAMS) from 2009 – 2014. 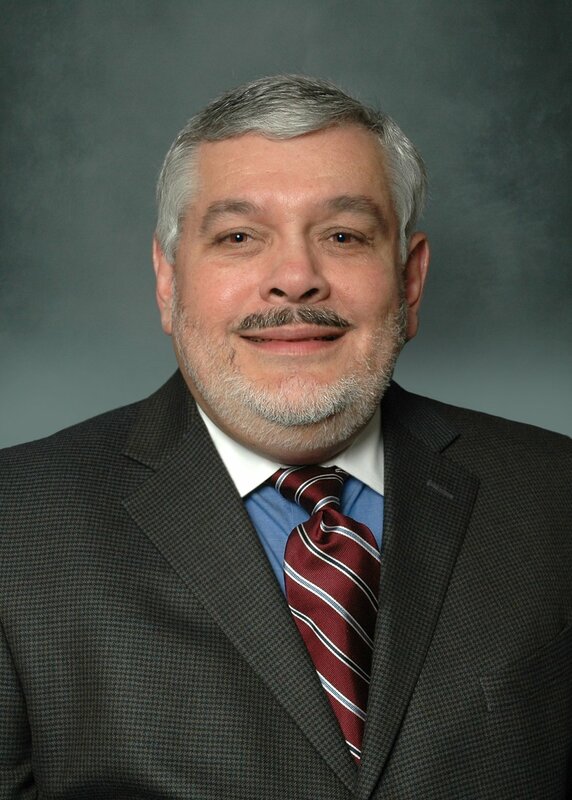 He served as Medical Director for various child psychiatry clinics and was the Division Chief for Child and Adolescent Psychiatry during the last 2.5 years at UAMS. He returned to Gainesville in May of 2014, at which time he worked as a staff Child and Adolescent psychiatrist at Meridian Behavioral Healthcare before joining us here at UF. Dr. Bussing’s major clinical interests include comprehensive treatment approaches to disruptive disorders of childhood, combining pharmacotherapy, parent training, clinical group therapies, and school interventions. She enjoys treating the entire spectrum of child and adolescent disorders. Of special clinical interest is the comprehensive outpatient treatment of disruptive disorders of childhood, combining evidence-based pharmacological and psychosocial therapies. She adapted an established parent group intervention for ADHD, combining it with a child social skills group, into an eight-week manual-based program. Another related project has been the development of a school-problem clinic in conjunction with our psychology services. This clinic provides multidisciplinary assessment of the various school problems children get referred for, with comprehensive treatment planning including medication regimens, behavioral interventions, and tutoring. A 1991 graduate of the University of Arizona College of Medicine, Dr. D’Alli completed residency training in general psychiatry and fellowship training in child psychiatry at Duke University Medical Center. For 13 years Dr. D’Alli took clinical and administrative leadership of the Division of Child Development and Behavioral Health in the Duke Department of Pediatrics. Dr. D’Alli developed an Internet-based telepsychiatry service for special education students with learning, social, and emotional difficulties in self-contained Durham, North Carolina, public school therapeutic programs, providing weekly, interactive telehealth consultation to the children, school staff, and on-site child psychiatry trainees during the school year. 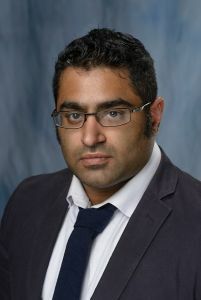 In 2015 Dr. D’Alli joined the faculty of the University of Florida College Of Medicine, where he is playing an active role in the clinical, educational, and scholarly missions of the Departments of Psychiatry and Pediatrics, including program development in autism and developmental-behavioral pediatrics services. Pediatric psychiatry is a mid-career change for Dr. D’Alli. After earning a bachelor of science in physics and a master of science education from the University of Florida in Gainesville, he taught physics, earth and general science, and coached football in a suburban Atlanta public high school. Later, he returned to graduate school at Brown University, participating as a member of NASA’s Mars Viking Lander Imaging team at the Jet Propulsion Laboratory in 1976 and completing a master of planetary geology in 1977. After working two years at the Smithsonian Institution’s National Air and Space Museum in Washington, D.C, he was recruited by NASA to develop a summer enrichment short course for university faculty in planetary geology at Arizona State University in Tempe, Arizona. A serendipitous guest appearance in 1979 on KPNX TV, the Phoenix NBC affiliate, evolved into a part time role as an on-air science reporter and two years later into a full time on-air science editor and back-up anchor on KAET TV, the PBS affiliate in Phoenix/Tempe. He also contributed to the PBS network’s MacNeil/Lehrer NewsHour. On February 23, 1983, D’Alli anchored the first, prime-time, network television live broadcast of open-heart surgery, originating from a Phoenix hospital and carried internationally via satellite on PBS. This and similar experiences in medical journalism persuaded him to become a physician. Dr. Frazier completed both her Adult Psychiatry residency and Child and Adolescent Psychiatry fellowship at the University of Florida. She intermittently serves as the site supervisor for the Child Psychiatry fellows during their community mental health rotation. Dr. Frazier is a staunch patient advocate, working with large underserved populations. She has experience both with inpatient and outpatient Child Psychiatry and is a wonderful role model for the trainees. Her major focus is on mood and anxiety disorders, though she has worked with other populations, including disruptive behavior disorders and substance use/abuse. Dr. Mayberry earned his medical degree from Midwestern University Arizona College of Osteopathic Medicine in Glendale, Arizona. He began his psychiatry residency training working for the Florida Department of Corrections/Nova Southeastern University in Orlando, Florida. Following his first year of training, Dr. Mayberry completed two years at Arrowhead Regional Medical Center in Colton, California. He then completed his residency while perusing fellowship training in child and adolescent psychiatry at Larkin Community Hospital in conjunction with Miami Children’s hospital in Miami, Florida. In 2016, Dr. Mayberry joined University of Florida as a clinical assistant professor in the department of child and adolescent psychiatry. 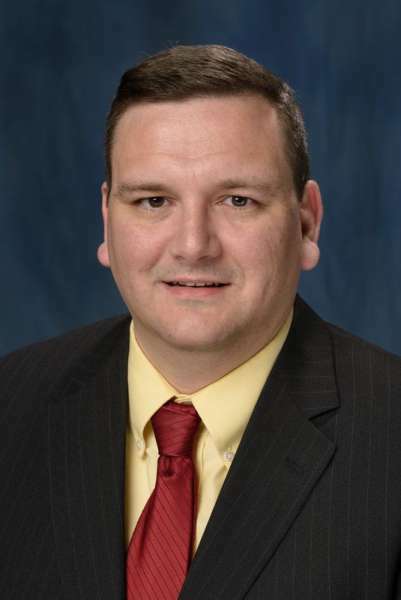 His clinical duties include working at the UF Health Child Psychiatry Clinic, as well as the child and adolescent inpatient unit at UF Health Shands Psychiatric Hospital. In addition, he works at the UF Health Adult Psychiatry Clinic, seeing patients in the Adult Developmental Psychiatry Clinic. This clinic serves adults with autism spectrum disorders and other neuro-developmental disabilities while working closely with the Center for Autism and Related Disabilities at UF. In 2017, he was named the medical director of the child inpatient unit. Dr. McNamara’s training includes the completion of Ph.D. programs in both Counseling and Developmental Psychology, an Internship in Clinical and Health Psychology, and Psychology Residency in the Division of Medical Psychology at the University of Florida. Over the course of his training, he sought out an array of clinical experiences in a variety of settings such as counseling centers, psychiatric outpatient facilities, and hospitals. These training experiences provided him with a solid foundation for treating a variety of disorders from a cognitive behavioral perspective. Moreover, Dr. McNamara has worked with patients across the lifespan, ranging from ages 4 to 83. He treats both children and adults and has received additional training in Exposure-Response Therapy (ERT) and Cognitive Behavioral Therapy (CBT). He has also received training in the treatment of insomnia. 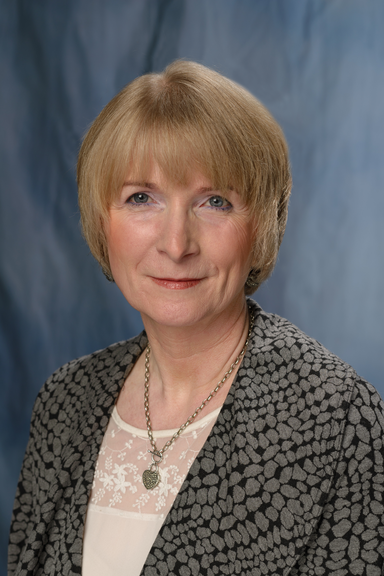 Within the teaching domain, Dr. McNamara is qualified to teach Cognitive Behavioral Therapy (CBT), therapeutic treatment of anxiety disorders, therapeutic treatment of depression, psychotherapy, supervision, and typical development. Dr. McNamara conducts clinical research with patients as part of daily, biweekly, and weekly outpatient CBT for Obsessive Compulsive Disorder (OCD), Panic Disorder, and other anxiety related disorders. His research interests are concerned with the development of executive functioning, the role sleep plays in executive functioning, and the impact of executive function and sleep on treatment outcome. Currently, Dr. McNamara’s research team has both graduate and undergraduate students working on a several different research projects. He also leads the fellows process group. 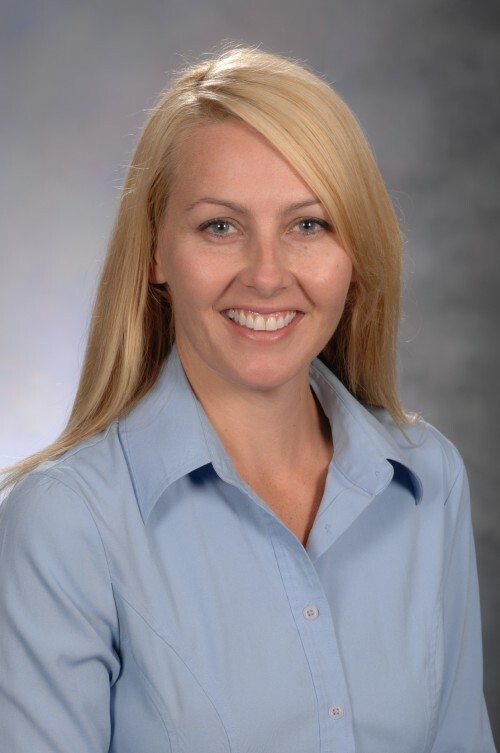 Dr. Muehlmann completed her undergraduate studies at San Diego State University, majoring in Psychology. She then attended the University of Florida for graduate studies. She received a M.S. and Ph.D. in Behavioral Neuroscience under the mentorship of Darragh Devine studying psychostimulant-induced repetitive behaviors, including self-injurious behavior. Her graduate work was funded by a research grant from the American Psychological Association and by fellowships from the National Alliance for Autism Research and the National Institutes of Health. She completed postdoctoral training in the lab of Mark Lewis, PhD at the University of Florida in 2013 with the support of another National Research Service Award from the National Institutes of Health. During this training she integrated her experience in psychopharmacology with molecular techniques to investigate basal ganglia pathology and targeted treatments for repetitive behavior in outbred and inbred strains of mice. At this time she also completed a M.S. (2013) in Clinical and Translational Science. 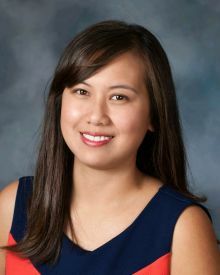 She is now an assistant professor in the Department of Psychiatry and her work continues to focus on the role of basal ganglia circuitry dysfunction as it relates to maladaptive behaviors that are phenotypic for psychiatric and neurodevelopmental disorders. 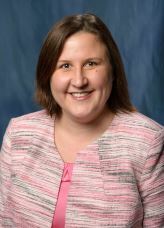 Melissa Munson, Ph.D. is an assistant professor in the Division of Medical Psychology in the Department of Psychiatry at UF Health in Gainesville, Florida. Dr. Munson completed her doctoral training in clinical psychology at Louisiana State University. She completed her internship and postdoctoral training at the University of Florida and has received a variety of clinical experiences over the course of her training. Specifically, she has received extensive training in the assessment and treatment of both adults and children with a variety of disorders in both inpatient and outpatient settings. She specializes in the use of Cognitive-Behavioral Therapy with Exposure with Response Prevention in the treatment of anxiety disorders and is the faculty coordinator of the UF Health Eating Disorders Intensive Outpatient Program at Springhill Health Center. She provides didactic seminars to the child psychiatry fellows. She also provides group and individual supervision for psychiatry medical residents and fellows, graduate students, interns, and postdocs in conducting psychotherapy and psychoeducational assessments. Dr. Nallapula joined the University of Florida in 2016. Dr. Nallapula completed his completed medical school training at Kasturba Medical College, Manipal, India in 2010. He moved to the United States in 2011 to pursue psychiatry residency training at the University of Missouri-Columbia. In 2014 he started his Child and Adolescent Psychiatry Fellowship at the University of Alabama at Birmingham. 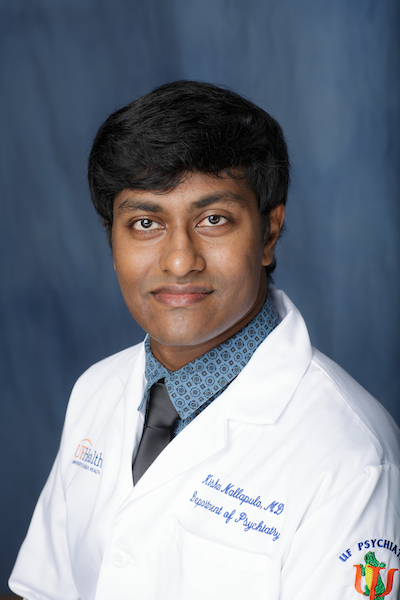 Upon completion of fellowship Dr. Nallapula has chosen UF to be the first step in his career. Dr. Nallapula practices in diverse clinical settings. He is the attending Child and Adolescent Psychiatrist (CAP) for the Crisis Stabilization Unit at Meridian Behavioral Healthcare, Inc. Lake City, FL. He is the consultant CAP for the Alachua county Community Action Team through Sinfonia Family Services of Florida. He supervises fellows and sees patients via telehealth for Children’s Home Society of Florida. He also sees patients for therapy and psychopharmacology treatment at UF DCAP clinic in addition to supervising residents/fellows at the clinic. Dr. Nallapula is spearheading multiple telepsychiatry initiatives in the department. He is the Director of Telemedicine Serivices for the Department of Psychiatry. His goal is to enhance patient care by incorporating innovative technologies in health care delivery. He will also be training and providing opportunities for medical students and residents to familiarize themselves with telemedicine before they go out to independent practice. Dr. Nelson earned her BA in Psychology and Mathematics at Illinois Wesleyan University and received her MA and PhD in Clinical Child Psychology from Southern Illinois University at Carbondale. She completed an APA-approved internship at Wayne State University working with children and families in setting such as an inpatient psychiatric hospital, an outpatient clinic, and hospital-based medical clinics. She then completed a 3-year post-doctoral fellowship at the University of Florida (UF) in the Department of Clinical and Health Psychology focusing on treatment outcome research. Dr. Nelson joined the faculty at the University of Oklahoma Health Sciences Center (OUHSC), where she specialized in clinical practice, training, and research in disruptive behavior disorders and autism spectrum disorders from 2005-2012, before returning to Florida and joining the UF faculty. Dr. Nelson directs the Parent-Child Interaction Therapy (PCIT) program in the Division of Medical Psychology. PCIT is an empirically supported therapy designed for young children who are displaying disruptive behavior that was developed by Dr. Sheila Eyberg, UF Distinguished Professor Emeritus. 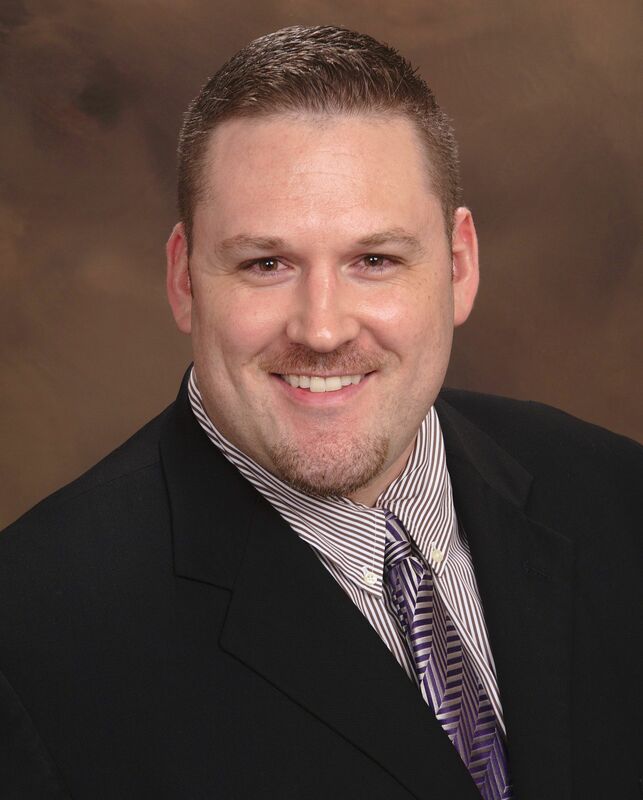 Dr. Nelson is a certified Master Trainer in PCIT and supervises PCIT training and treatment in the division. She is also developing a research program to add to the evidence base that supports PCIT. Clinically, she specializes in working with young children with a wide range of concerns (including disruptive behavior, anxiety, depression, autism spectrum disorders, and attention-deficit hyperactivity disorder) and their families. Dr. Olsen completed his doctoral degree in the clinical psychology program at the University of Cincinnati. He came to the University of Florida to complete his internship in the department of Clinical and Health Psychology. During his clinical training, Dr. Olsen specialized in working with patients with chronic medical conditions and their families across a variety of settings including pediatric hospitals, outpatient clinics, and schools. 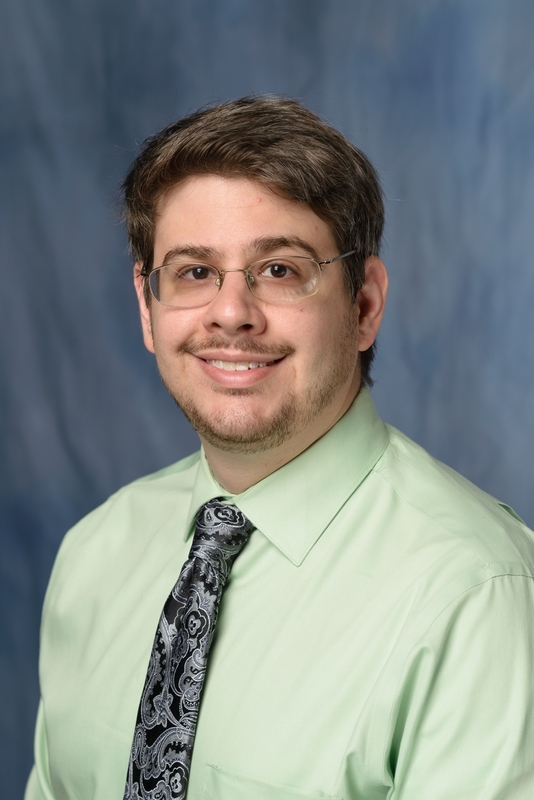 He then continued his training as a Psychology Resident and Postdoctoral Associate for the Division of Medical Psychology in the Department of Psychiatry at UF Health where gained specialty training in Cognitive Behavioral Therapy (CBT) with Exposure and Response Prevention (ERP). Dr. Olsen regularly supervises and teaches child fellows. Dr. Olsen’s primary research focus is geared toward understanding how individual, peer, and familial perceptions impact children’s coping strategies and treatment adherence. Dr. Olsen is part of a mentorship team from a multi-site training grant which focuses on developing future clinicians and researchers in the field of mental health care in Diabetes. He is currently conducting research assessing the impact of parenting styles and online health information seeking on health outcomes among children with Type I Diabetes. He is also part of a team examining treatment outcomes for children with OCD. Dr. Rahmani has a multicultural background. She was born in Kuwait. 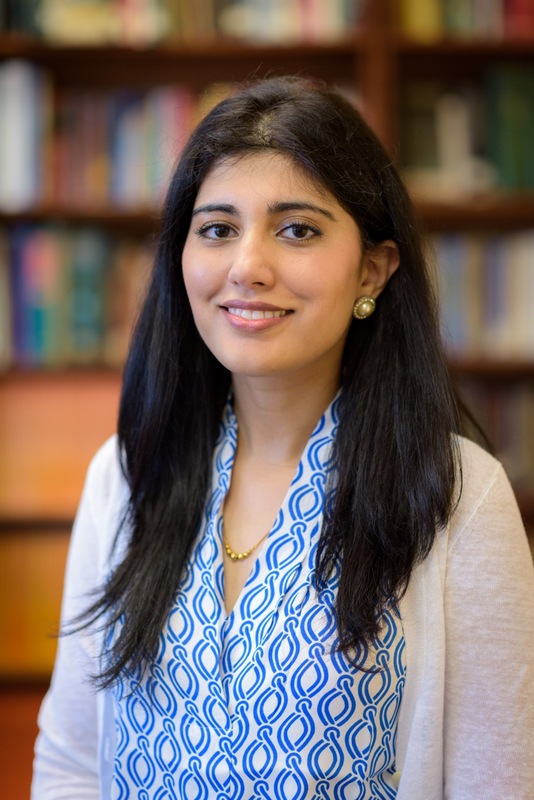 She has lived in Kuwait, Pakistan, and the United Arab Emirates, and moved to the US for college. She completed her undergraduate education in Environmental Engineering at the University of Central Florida. She completed her medical education, residency in General Psychiatry, and fellowship in Child and Adolescent Psychiatry at the University of Florida. She is board certified in both General Psychiatry and Child/Adolescent Psychiatry. Her clinical interests include child and adolescent depression and anxiety disorders, and treatment with Interpersonal, Family, and Cognitive-Behavioral therapies as well as psychopharmacology. She has presented research at local and national meetings. She serves on the Women’s Committee of the American Academy of Child and Adolescent Psychiatry (AACAP), multiple committees of the Florida Psychiatric Society, and on the executive board of North and Central Florida chapter of ROCAP (regional organization of child and adolescent psychiatry). Dr. Rahmani is committed to advocating for mental health and serving our community. She provides psychiatric services to children in the foster care system through the Camelot Community Care (formerly Florida Mentor) clinic and is a regular volunteer provider at the local Helping Hands Clinic for Gainesville’s indigent population. She is passionate about education, whether it be undergraduate students, medical students, psychiatry residents, and child psychiatry fellows. Dr. Rahmani has won the College of Medicine’s Exemplary Teacher award and the Department of Psychiatry’s Exemplary Mentor Award. 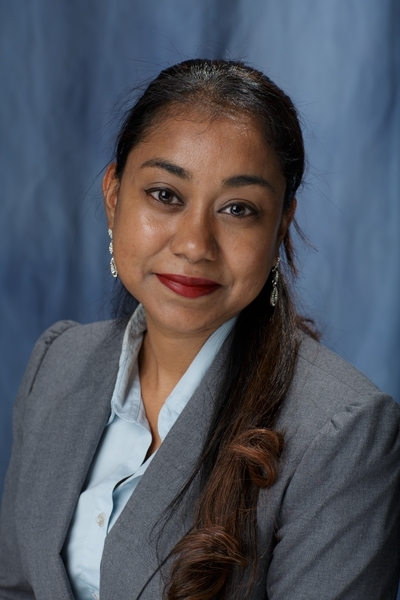 As the Training Director, she is responsible for curriculum development for the Child Psychiatry Fellowship Program and for the Child Psychiatry lecture series provided to residents in UF’s General Psychiatry program. She has worked closely with colleagues to develop new and innovative learning opportunities for the Fellowship, and works tirelessly with the rest of the divisional faculty to ensure that our training program meets all ACGME standards and provides a comprehensive and nourishing experience to all our trainees. Dr. Ramnaraine was born and raised in NYC. She completed her undergraduate training and first two years of medical school through the Sophie Davis School of Biomedical Education located on the CUNY campus in Manhattan, NY. She completed the remaining years of medical school at SUNY Downstate Medical School in Brooklyn NY, earning her Medical Degree (MD). Dr. Ramnaraine then migrated to Gainesville, FL, where she completed her Adult Psychiatry Residency and Child and Adolescent Psychiatry Fellowship at the University of Florida. She is Board Certified in General Psychiatry and Board Eligible for Child and Adolescent Psychiatry. Her clinical interests include child and adolescent depression, anxiety disorders and PTSD.. She also has experiencing with treating Attention Deficit Hyperactivity Disorder and disruptive behavior disorders. She uses a variety of treatment modalities including Interpersonal psychotherapy, Psychodynamic psychotherapy, CBT, Parent Management Training, and psychopharmacology. Dr. Ramnaraine serves as the site supervisor for the Child Psychiatry fellows during their community mental health rotation at Meridian Behavioral Health Center, which allows for experience with treating under-served populations. Dr. Rao received his BA in Neurobiology and Behavior from Cornell University before moving to England to study the evolution of primate intelligence, social structure, and mating systems from the perspective of bioenergetics at University College London where he received his MSc. He then moved back to the US where he received his MD from University of Oklahoma. He started his general psychiatry residency training at the University of Colorado and completed his final two years at University of Missouri Kansas City. He then moved to the University of Florida to receive his fellowship training in Child and Adolescent Psychiatry, where he decided to stay on as faculty. He is Board Certified in General Psychiatry and is actively pursuing Board Certification in Child Psychiatry as well as Obesity Medicine. Dr. Rao’s clinical interests include psychotherapy, exercise and nutrition, collaborative care, PTSD, Anxiety, ADHD, Autism, and the psychiatric aspects of medical illness, disability, pain, and obesity. In addition to working with child fellows and general psychiatry residents, he also plays an active role in the education of medical students and residents in other pediatric specialties. He is currently a supervising attending physician at the DCAP Clinic, UFHealth Shands Hospital on the general adult and child psychiatry consultation services, as well as with the Developmental-Behavioral Pediatrics service. Dr. Romero was born in the Philippines and immigrated to the Greater Los Angeles area after college. She received a bachelor’s degree in psychology, with an emphasis in Human Services from Assumption College, Philippines. She attended graduate school at Palo Alto University – Pacific Graduate School of Profession Psychology where she obtained both her Master of Science, Doctor of Philosophy degrees in Clinical Psychology, and a Certificate for Clinical Neuropsychological Assessments. 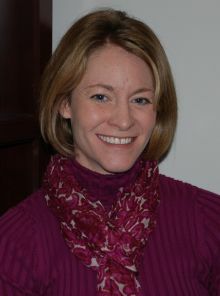 Dr. Romero completed her pediatric neuropsychology internship at Virginia Beach Cities Public School (APA-accredited) and her two-year postdoctoral fellowship in pediatric neuropsychology (in accordance with Houston Conference Guidelines) in the Division of Pediatric Clinical Neuroscience at the University of Minnesota (U of MN) Medical School and Children’s Hospital. She received further training as a fellow in the U of MN Leadership Education in Neurodevelopmental and Related Disabilities Program. After her fellowship, she was an Assistant Professor at Minnesota School of Professional Psychology and an Adjunct Professor at U of MN, Global Pediatrics. In 2013, Dr. Romero relocated to Florida. From 2013 to 2017, she was a licensed psychologist in private practice conducting comprehensive developmental/neuropsychological evaluations and providing treatment interventions for children, adolescents, and adults. She also provided training and supervision to graduate students, interns, and postdoctoral fellows. Dr. Romero’s professional interests include pediatric neuropsychology, multicultural psychology, special education, and transition to adulthood services. 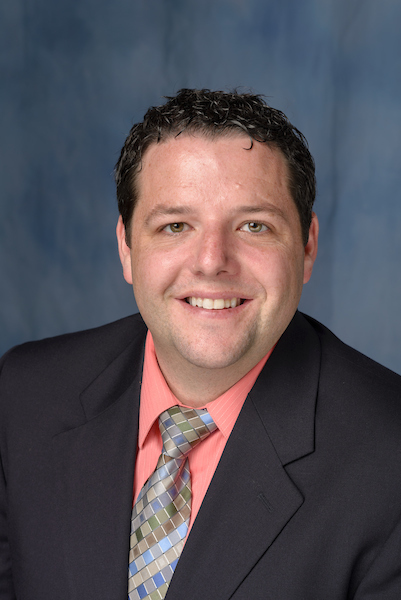 Dr. Shapiro completed his Child and Adolescent Psychiatry fellowship at the University of Florida in 2013. He also completed Adult Psychiatry residency, medical school, and undergraduate training at UF. He was selected as a Child PRITE Fellow from 2011-2013 by the America College of Psychiatrist and has remained a member of the PRITE Editorial Board. Dr. Shapiro was the recipient of the 2014 AACAP Rieger Psychodynamic Psychotherapy Award and is a current Fellow of the American Psychiatric Association. 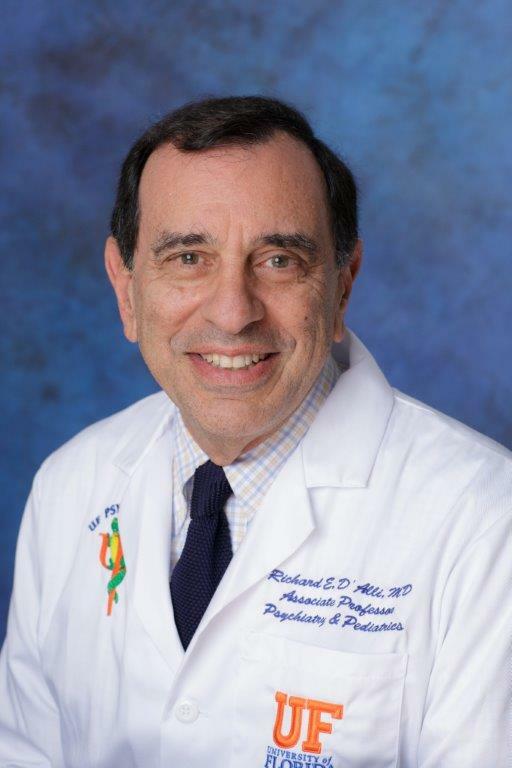 Dr. Shapiro serves on the CME Committee for AACAP, and is the President Elect (2018-2020) and Advocacy Liaison for the North Central Florida Council of Child & Adolescent Psychiatrists (NORCEF). Dr. Shapiro’s main interests include adolescent mental health, particularly in treating mood and anxiety disorders; he employs various modalities of individual and family therapy to improve communication and overall emotional well-being, and combines psychotherapy with medication management. Dr. Shapiro also co-leads the weekly Psychodynamic Psychotherapy lecture series for the General Psychiatry Residents and has developed a Child & Adolescent Psychotherapy Curriculum for the CAP Fellowship. Dr. Shapiro previously served as the site supervisor for Child Psychiatry at Family Preservation Services in Gainesville as well as the Alachua and Marion County Juvenile Detention Centers. In 2014, he was appointed the Medical Director of the Child and Adolescent Psychiatry Inpatient Unit at UF Health Psychiatric Hospital.